Another great image currently for auction! It shows the west side of Winthrop Avenue, just north of Thorndale. It looks quite different today! Image below from Google Maps. Is the perspective FROM the west side of Winthrop just north of Thorndale or is it TOWARD that direction? I ask because the Google map street view is FROM that direction, which means if you're viewing the east side of Winthrop facing south toward Thorndale. Oops! Thanks for the head's up. I had the Google map turned the wrong way. 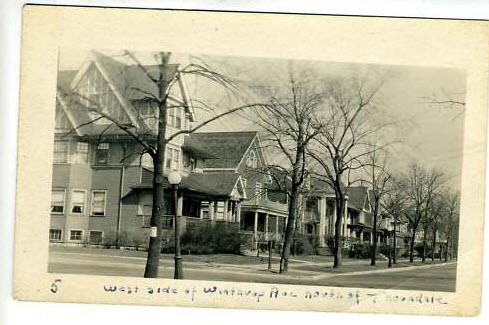 The vintage image does show the west side of Winthrop, facing north.